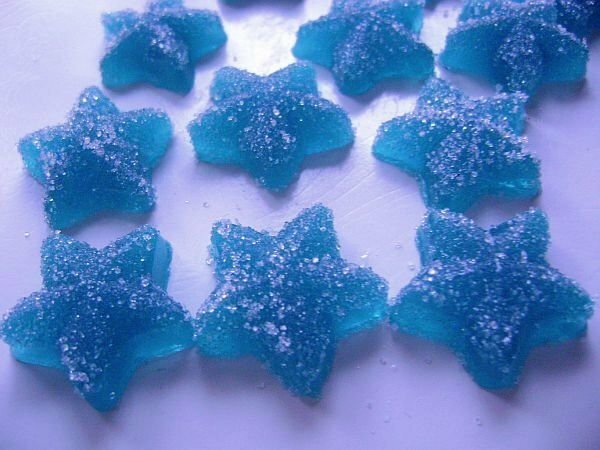 Berry blue gummy stars, generously sugared to add a sparkling touch to your party or shower. 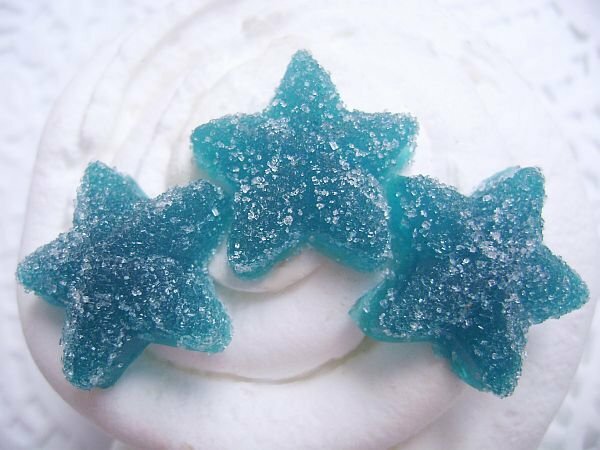 Use to add to your dessert table, as cupcakes toppers or to embellish cakes. 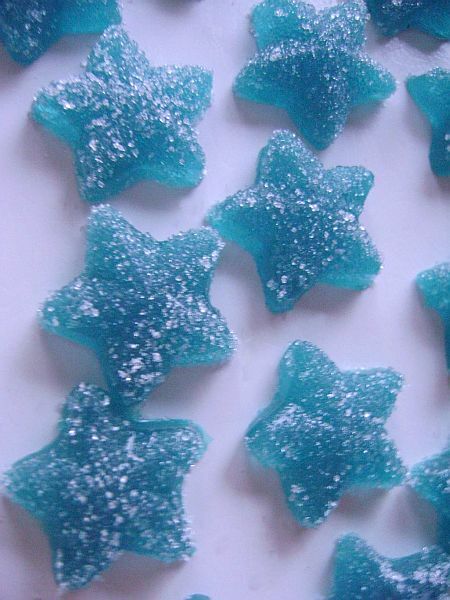 If you prefer your gummies to be sweet and sour on top instead of sugared please mention in message to seller at Paypal checkout. They are also available in other flavors/colors please see list below. Order is for 40 pieces.